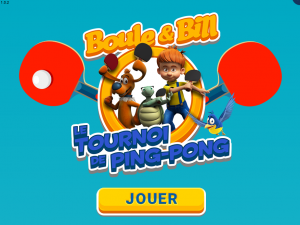 Another game made for Digiworks and aimed at the French platform ludo.fr that contains games and videos of cartoons/programs aimed at young people. 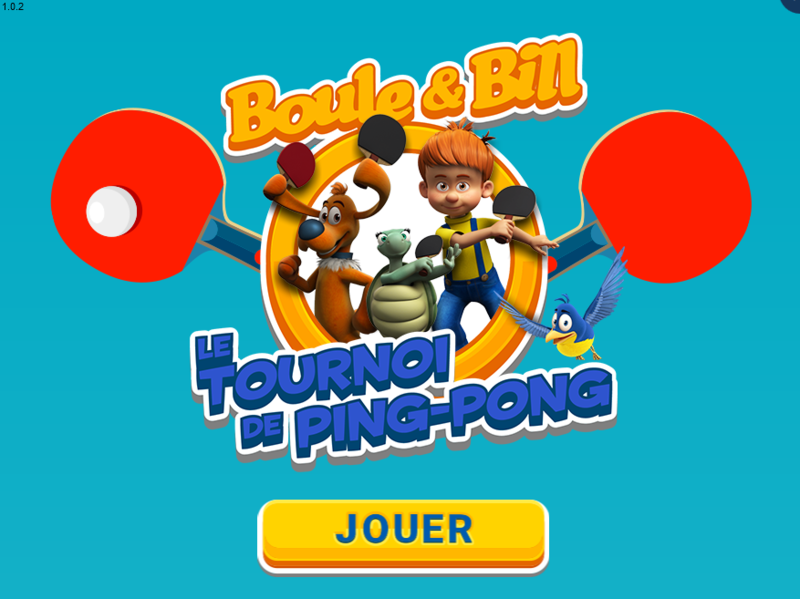 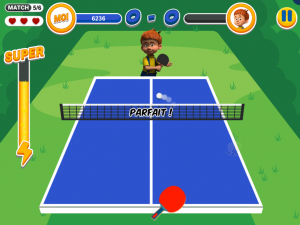 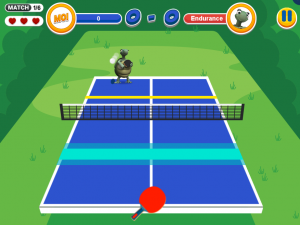 In this ping-pong game, you are opposed to the characters from the 3D animated serie Boule et Bill (originally a comic that people my age were familiar with). 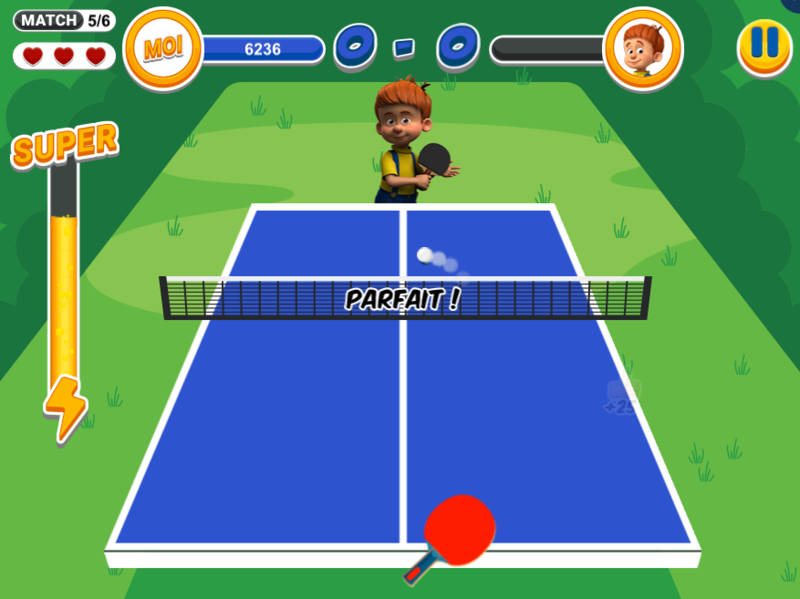 The gameplay is quite simple, one click/one touch allows you to serve. When the yellow bar following the ball gets in the blue area, click again to hit the ball. 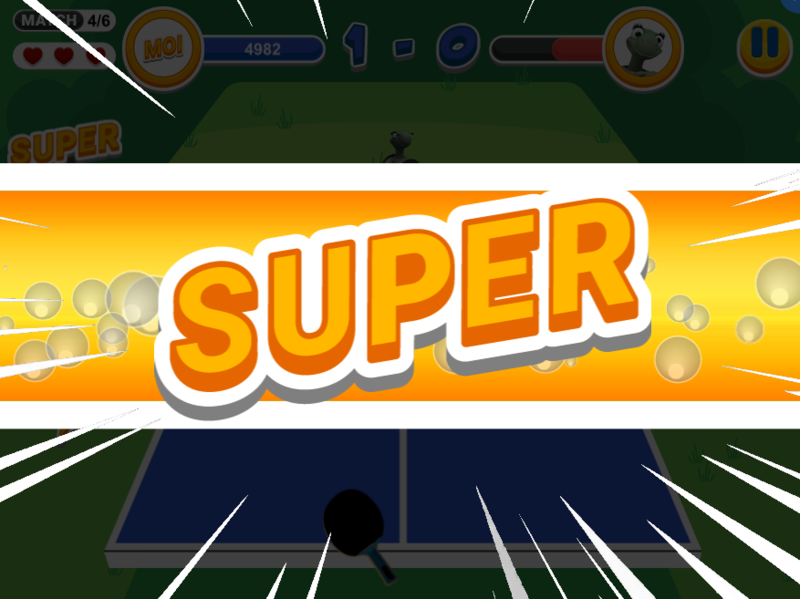 Later on, a system of a Super comes in, allowing you to fill a bar and throwing a “super hit” to the opponent that generally closes the exchange. 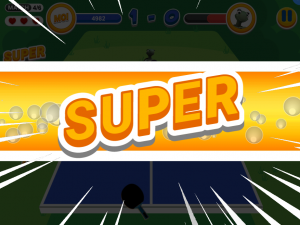 The super bar on the left is filled a bit each time you hit the ball.